When you’re facing legal issues, you shouldn’t turn to just any attorneys. You need experienced professionals who can represent you in any case, whether you’re a doctor or hospital facing a medical malpractice lawsuit, an employee with a contract dispute, or the victim of an injury caused by product liability. At Gutglass, Erickson, Bonville & Larson S.C., we believe you deserve highly-experienced and trustworthy attorneys who will fiercely pursue legal action on your behalf — and we are the attorneys with the knowledge, passion, and professionalism to best serve you. With more than 30 years of experience as attorneys in the Milwaukee area, we’ve earned our clients’ trust by practicing law with the highest standards of ethics combined with skill, experience, hard work, integrity and compassion.What sets us apart from other attorneys and Milwaukee law firms? Though we’ve represented a range of clients from individuals to large healthcare providers to small businesses, we treat each client with the respect they deserve as human beings. When you hire us, you’re getting a team of attorneys you can trust to carefully, expertly handle your case — no matter its scope. 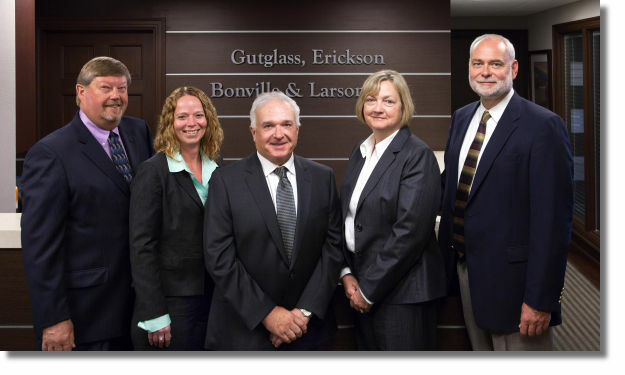 The attorneys at Gutglass, Erickson, Bonville & Larson S.C. have successfully handled literally thousands of cases since they first started the firm back in the 1980s, including constitutional challenges before the Supreme Court and a landmark Milwaukee civil rights case. 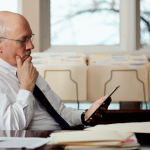 When you partner with us for your Milwaukee legal needs, your team of attorneys will be led by a senior partner deeply versed in the type of law under which your case falls. All of our senior partners have extensive trial experience in healthcare law, business law and personal injury law, which has honed our firm’s handling of complex legal matters over a broad spectrum of issues with efficiency, economy and success. When it comes to selecting your attorneys, trust is of the utmost importance — and we believe in earning the trust of not only our clients, but of our community, too. Our firm is dedicated to supporting local organizations, and over the years, we’ve given our time and money to a variety of local organizations, including the Boys & Girls Club of Greater Milwaukee and the Susan G. Komen Foundation. When you visit our attorneys, be sure to take in our historic building and the surrounding amenities. Our office in the City Center at 735, formerly known as the First National/First Wisconsin Bank Building, is conveniently located in the heart of downtown Milwaukee’s business district on bustling Water Street. It’s a 16-story Daniel Burnham design that allows easy access to the Milwaukee RiverWalk, plus it’s equipped with modern amenities such as parking, meeting space, and easy access to great food and cultural options. This historic site also houses multiple safes inside a basement vault from the original banking operations, with each door weighing over 25 tons. At the time of construction, the building boasted that the secure vault door itself weighed “about forty-eight tons and is heavier than any bank vault door west of New York City.” We’re proud to call such an iconic and historic building our home to our team of Milwaukee attorneys. If you find yourself in need of experienced Milwaukee attorneys, then contact us today at (414) 273-1144, or use our e-mail submission form to request more information. We’re here to serve you, so don’t wait any longer. We rely on our doctors, nurses and medical staff for quality healthcare — sometimes literally putting our lives in their hands. 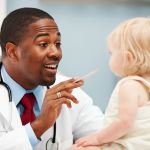 We know healthcare professionals take that responsibility seriously, and our attorneys believe in helping quality healthcare professionals keep their reputations and businesses intact. 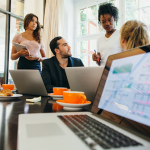 There’s a lot to think about when starting and running a business. What entity will you choose? Are your employee contracts fail-safe? Should I include restrictive covenants? What does the tax situation need to look like? What about shareholders and a board of directors? Should I have a succession plan? We understand the impact revocation or suspension has, not only on your ability to work on a daily basis, but also for your long-term career prospects. Our expert license attorney will work with you to develop an economical and efficient defense, drawing on our wealth of experience while also analyzing your unique case to create effective strategy.